Wholesaler of a wide range of products which include automotive oil seals and hydraulic oil seals. Being a customer oriented organization, we are highly engaged in providing a wide range of Automotive Oil Seals. 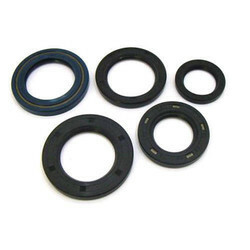 Being a foremost organization in the industry, we are actively engaged in offering the best quality range of Hydraulic Oil Seals.